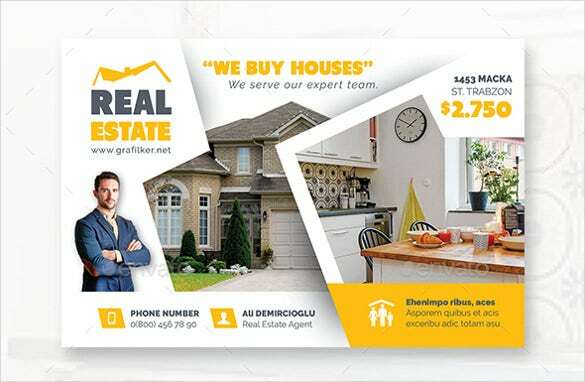 It is an obvious fact that advertisement of a real estate project on a newspaper would cost a hefty amount – a better and optimal alternative to this is the usage of real estate postcard templates which can be used to communicate the specifications and the facilities provided by the real estate agency. 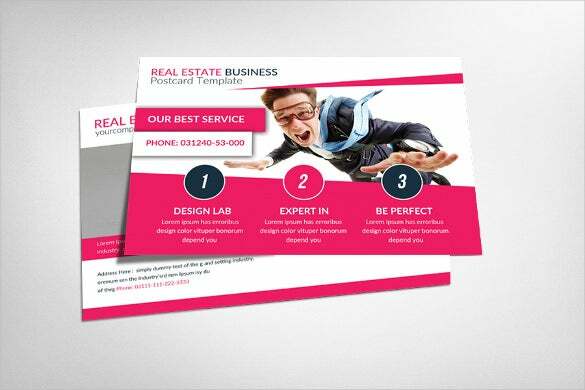 You can also see 5×7 Postcard templates. 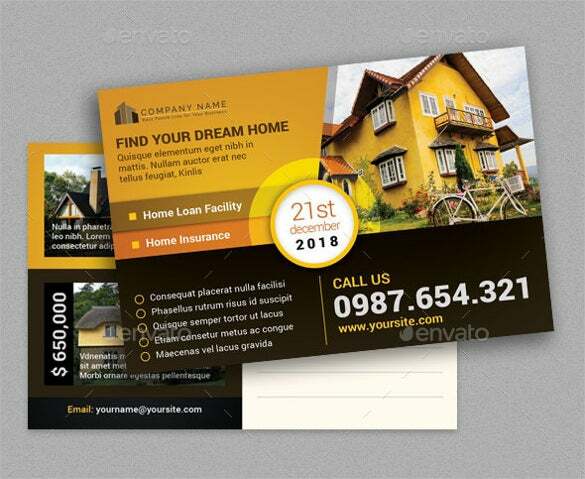 These post card templates are mostly used to inform users on the various real estate projects which are launched or are envisaged in the city for which the bookings have begun. 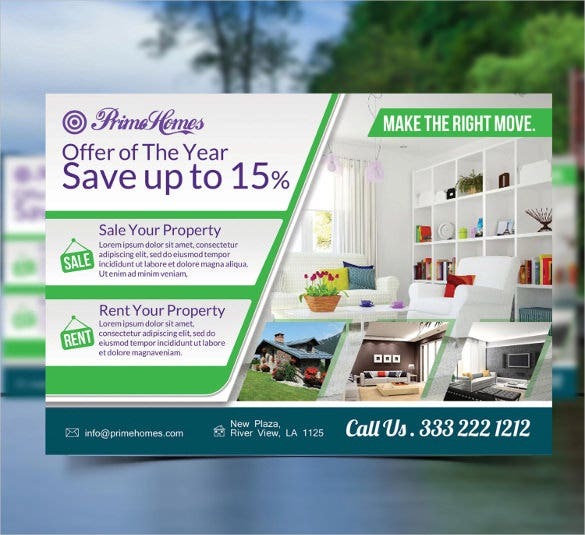 Designed mostly in PSD image format with scenic images of the apartments, these templates offer a decent source of advertisement. 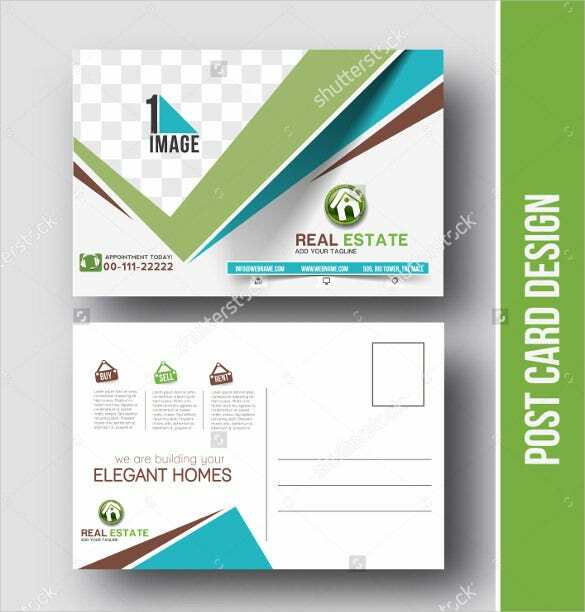 For real estate developers, you need to get a postcard which is smart yet attractive. With this template, you get to add an image of yourself in the postcard as well, to give it a personal touch. 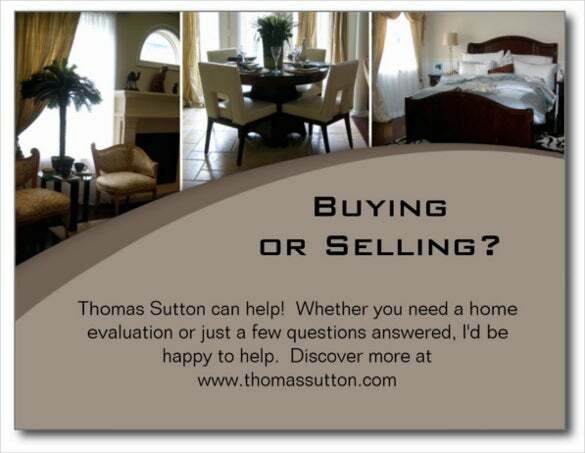 Real estate is one field that requires a lot of advertising. 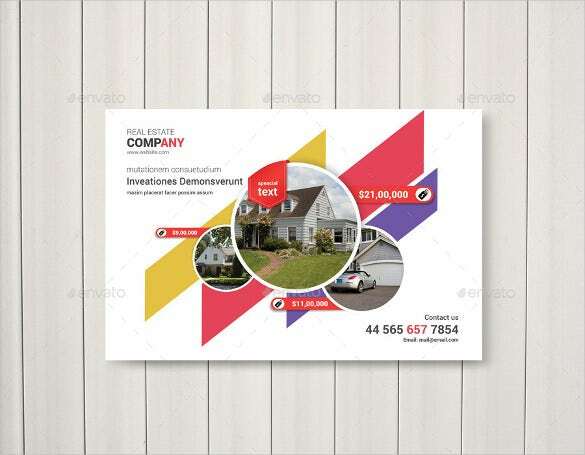 If you’re a real estate developer who’s just starting out, you could use this postcard to advertise your business and make a reputation for yourself. 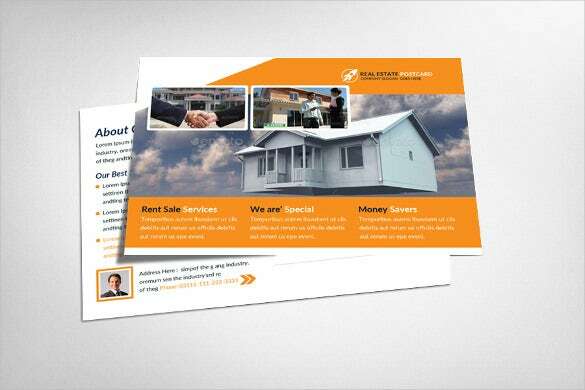 If you own a real estate business, you could download this template to form your own postcard. 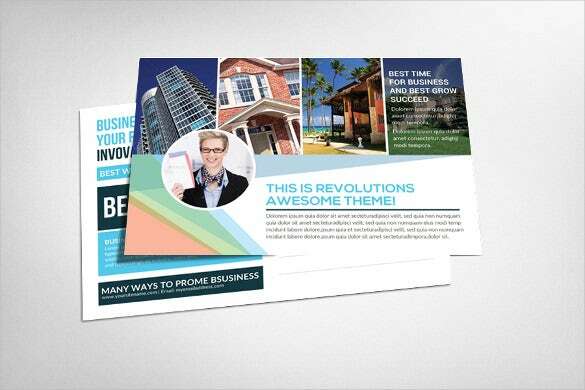 Download and customize your postcard so that it can work as an effective marketing strategy for you. If you’re a businessman, you’ll know that dull and monotonous can ruin your business. 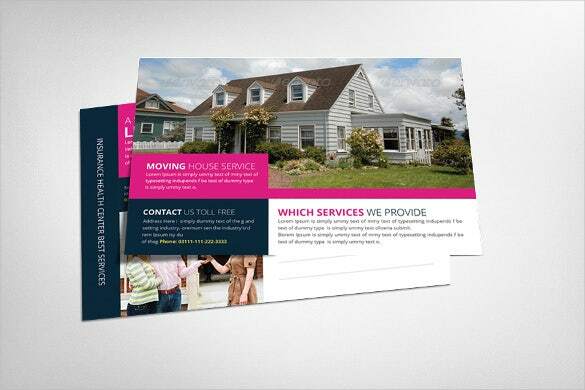 Your postcard, and likewise all advertising strategies, need to be bright and colourful, like this pink template. 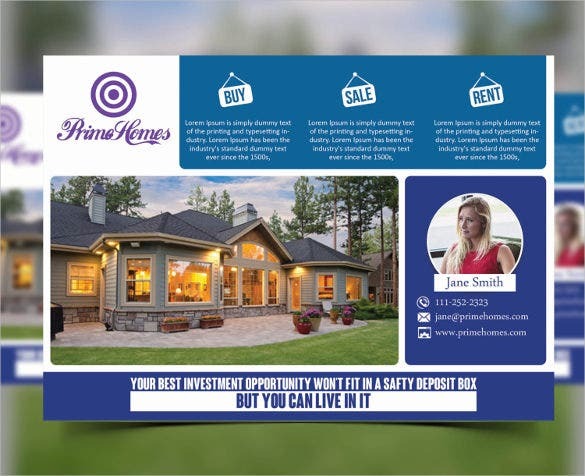 This postcard allows you to effectively advertise your real estate business. 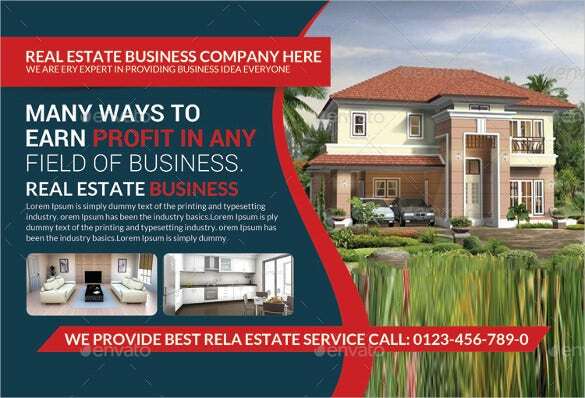 You can include details about your business, and why your clients should choose you and not other real estate companies. 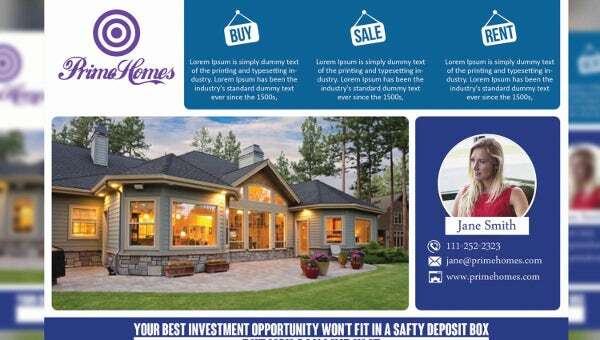 This would be a beautiful template if you’re looking to catch the attention of potential buyers in your real estate business. You can add details of your services on the left, along with an image to support it. 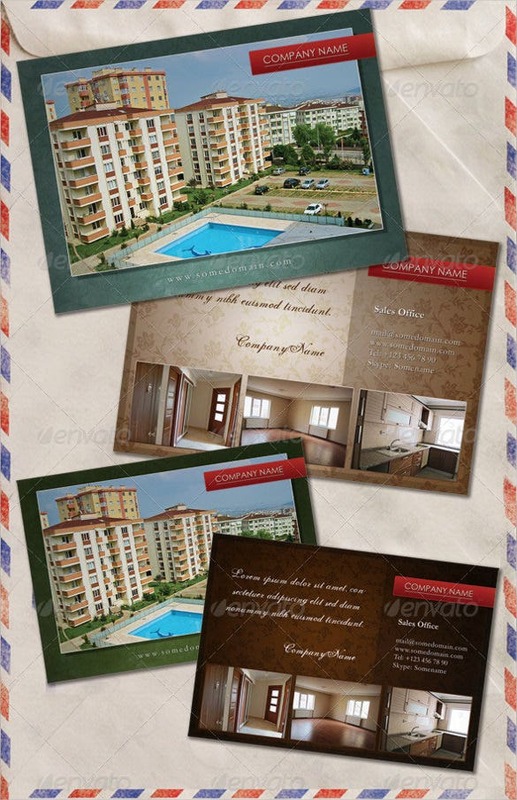 This olive green postcard template has been specially designed for real estate developers. It can be downloaded and customized to suit your needs. Add your contact details and essential information, to get more customers. 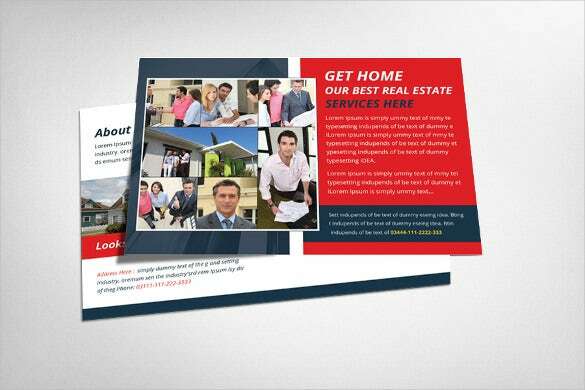 A real estate developer’s postcard needs to be tastefully decorated and elegant. 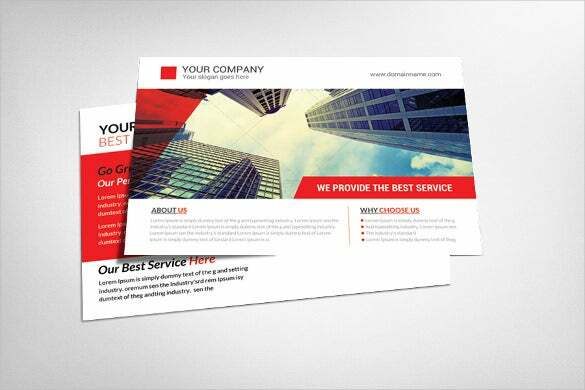 With this template you can add a tagline that conveys the message with lesser number of words but maximum effect. 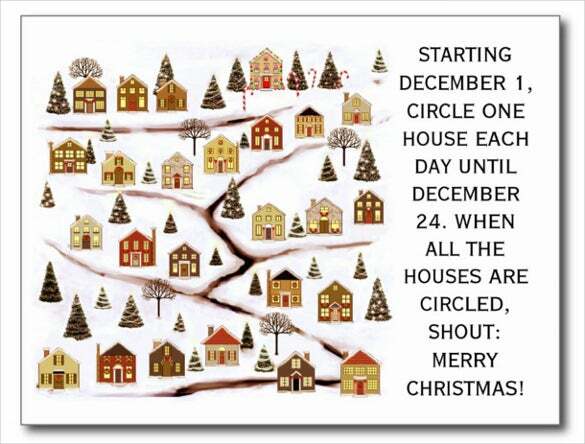 Open houses are an important part of the real estate business. 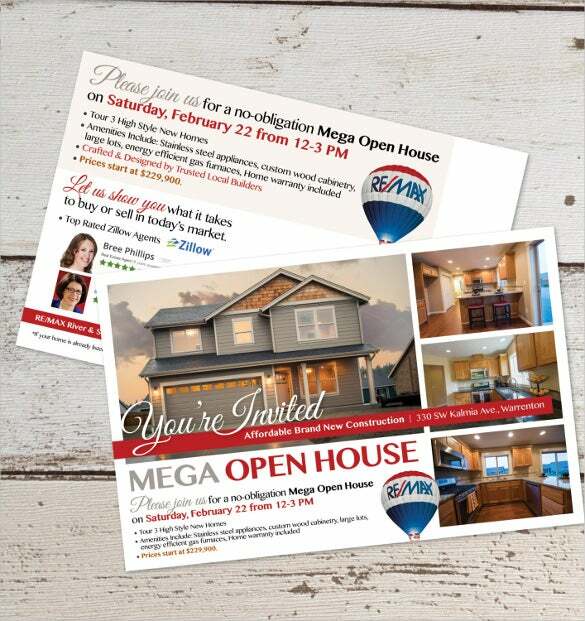 If you’re organizing an open house soon, send out invites to all prospective buyers with this beautiful postcard template. You can add all the necessary details as well. 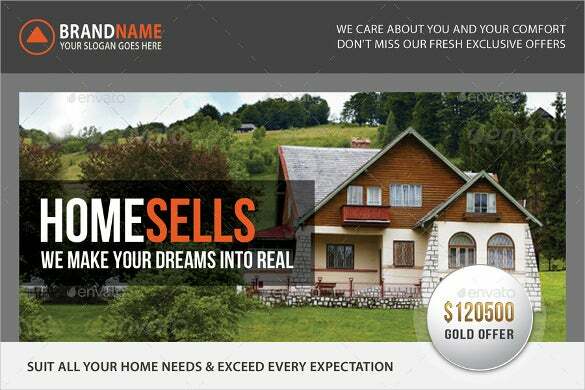 For a real estate agent, it is important to establish himself as a big name in the business as soon as possible. You can do so with the help of this template, which comes with an attractive image. 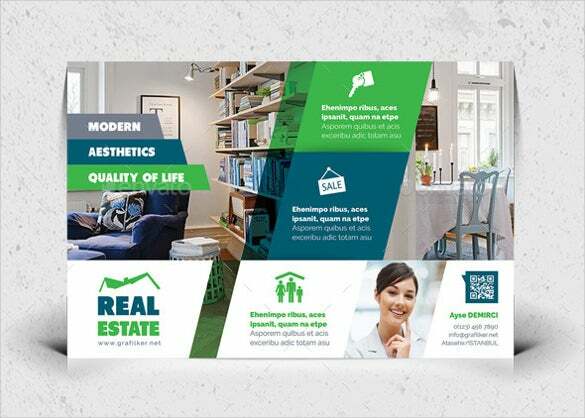 If you’re a real estate developer, who has recently taken up a project in an urban area, then you could promote it or advertise it with the help of this template. Interiors play a big role in the field of real estate, and if you are a good real estate developer, you’ll know the importance of good interior decoration. 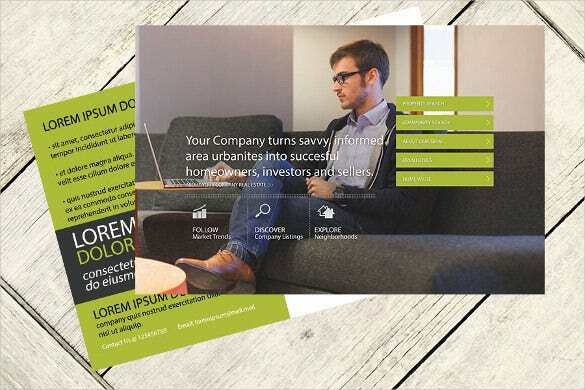 In that case, why not go for this attractive template for your postcard? 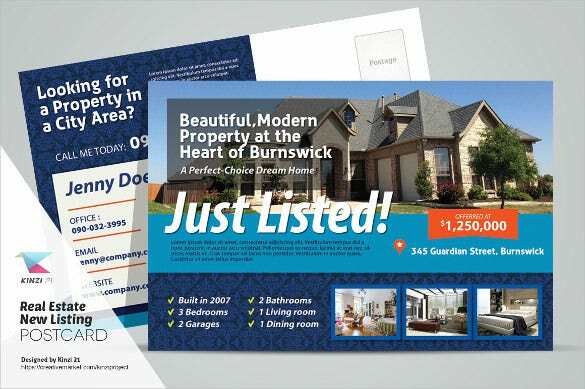 Even a real estate business requires a lot of good marketing and advertising strategies. One such cost effective method would be to use this template, print your own postcard in bulk and distribute it to the people you know.